Sugar Pink long sleeve mauve top with an embroidered butterfly on the front. Has a little button at ..
Sugar Pink dress, very simple but so gorgeous! 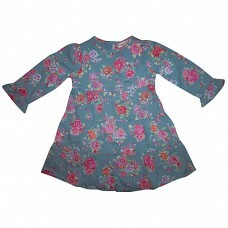 Cloudy blue in colour, and has lots of colourful flow..
Sugar Pink long sleeve aqua top. Lots of lovely detail, main picture is of a girl, and l..
Sugar Pink long sleeve grey top. As usual the detail is lovely, pink cupcakes, french houses, ..
Sugar Pink long sleeve cream top. 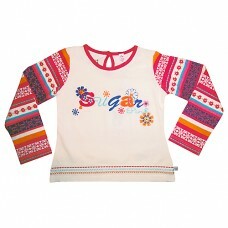 The detail is beautiful, a oval mirror and reads the fairest of th..
Sugar Pink long sleeve t-shirt. Very pink and colourful Has Sugar Pink written on the front with lot..